I love the look of embroidery on t-shirts. 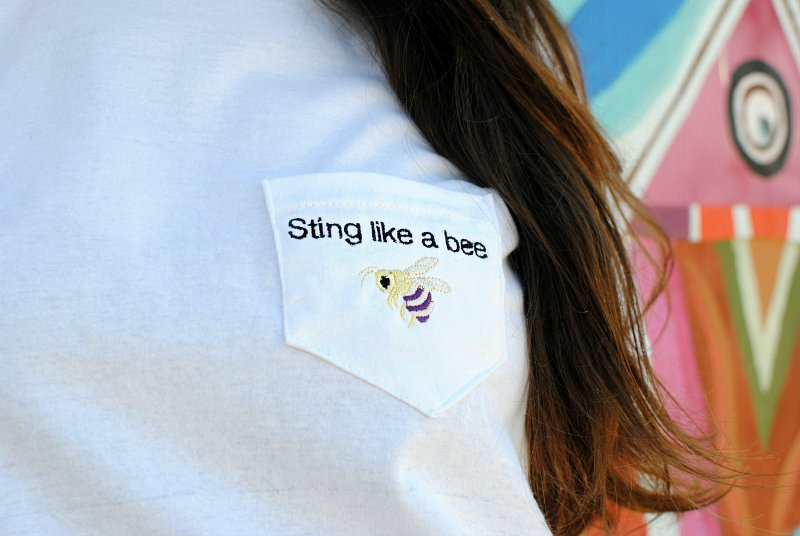 It’s a unique way to customize a wardrobe staple and a cute gift idea. Embroidery can be done directly onto the t-shirt or use hoopless embroidery to do a pocket and sew it onto the t-shirt. For this tutorial I'm using OESD’s Tula Pink Presents: The Imaginary Menagerie. 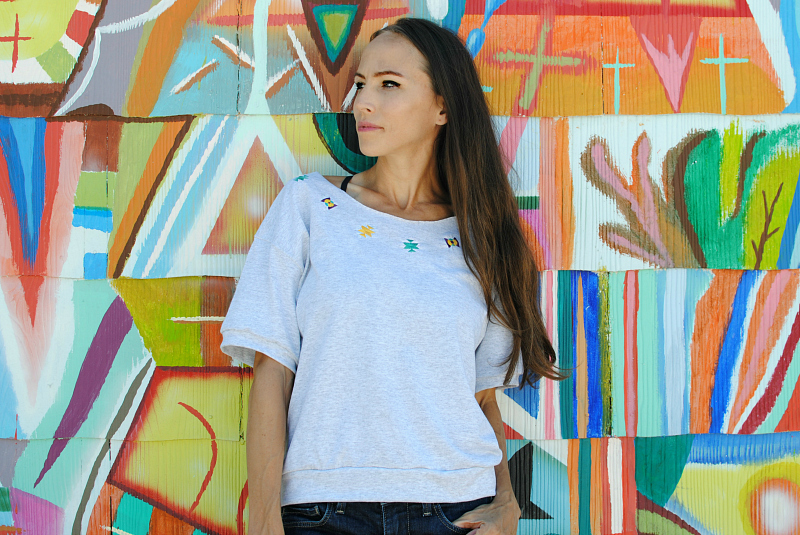 The collection features fanciful animals, bold botanicals, and versatile icons. 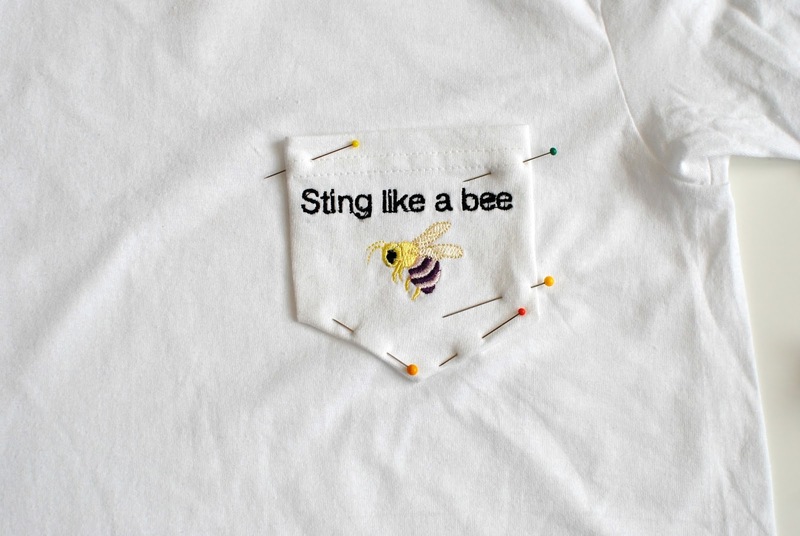 I couldn’t wait to try these designs out on some t-shirts I wanted to embroider. 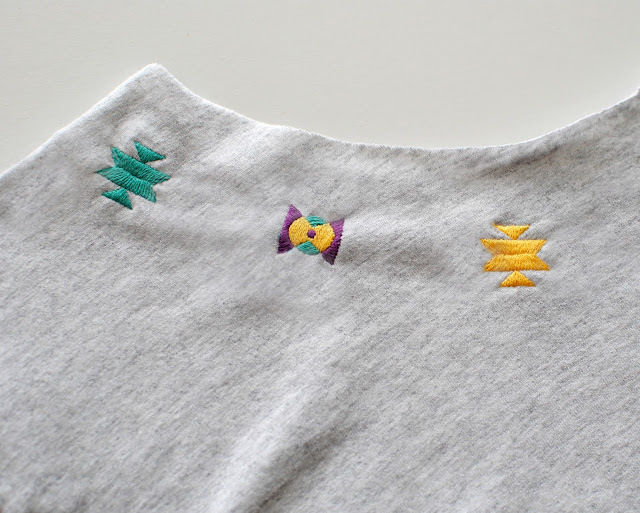 Embroidery on Pockets: Cut out the shape of a pocket and hem the top edge. 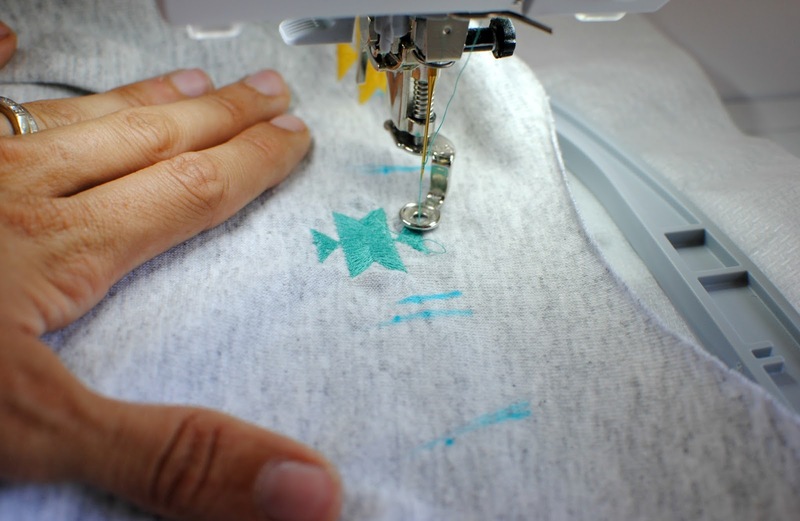 Be mindful of the hem allowance on the sides for when you plan your embroidery placement. 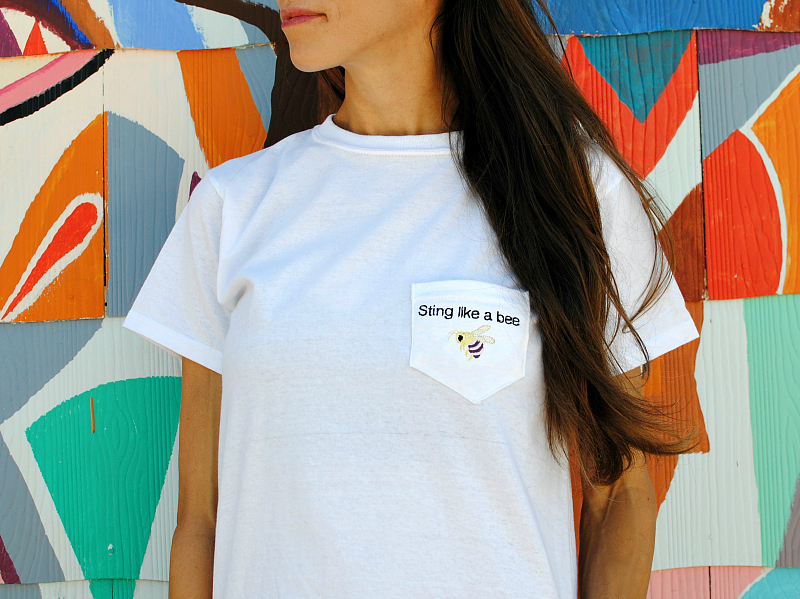 For the pocket fabric you can use a similar knit to the t-shirt or try a completely different print and fabric. I hooped OESD’s Polymesh CutAway stabilizer which is great for embroidery on knits and stretchy fabrics. It's soft for direct contact to skin and strong enough to hold the embroidery stitches through repeated washing and wearing It comes in white, black, and beige. I then used their 505 Temporary Spray Adhesive to spray directly on the poly mesh. The adhesive spray will secure the pocket while embroidering. Place the pocket directly on top of the hoop. Position the design you want to use in the center of the pocket. Tip: Be mindful of the hem allowance you plan to use on the pocket when topstitching onto the t-shirt. 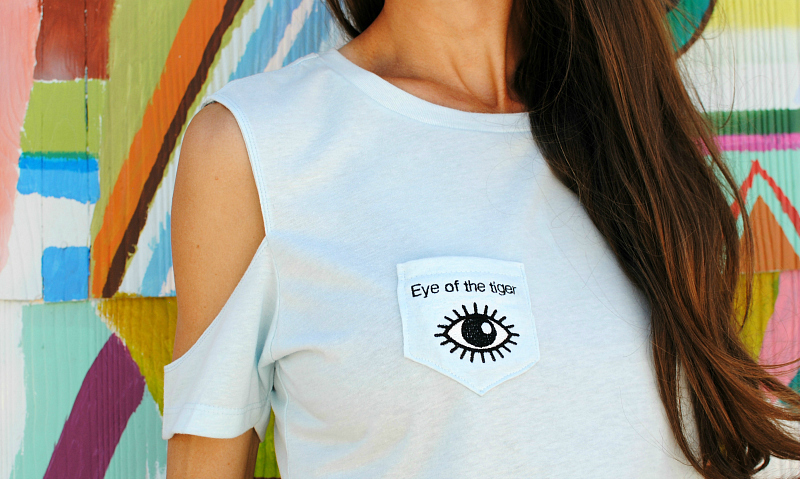 You will need to adjust size and placement over the pocket. It helps to have a sample pocket before the final one to make sure everything is positioned and sized properly. I had enough room to add another pocket on the hoop and did another set. 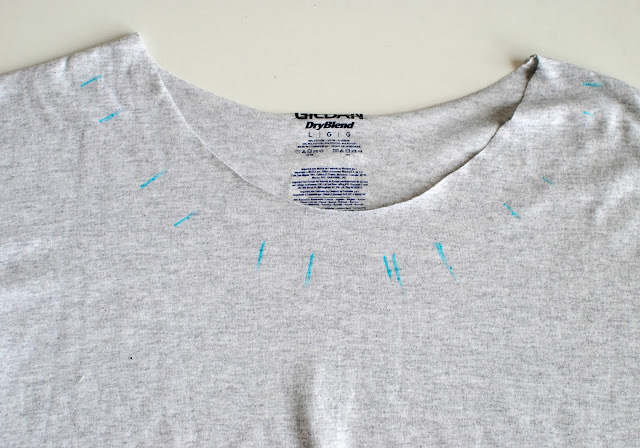 Once done iron your pocket edges under 1/4 inch or less and pin on the front of the t-shirt. Edge stitch the pocket into place. For the collar line I marked out the pattern with a disappearing ink pen as to where I wanted each design. Like above I hooped the Polymesh CutAway and sprayed the 505 Temporary Spray Adhesive. I placed the collar line directly onto the hoop and made sure the bottom was secured away from the plate so I didn't accidentally stitch anything. For this one I had to watch so it didn't shift because of all the extra fabric from the shirt. I love the outcome of these project and there is so much more designs in the collection I can't wait to try. You can see more of the collection here. 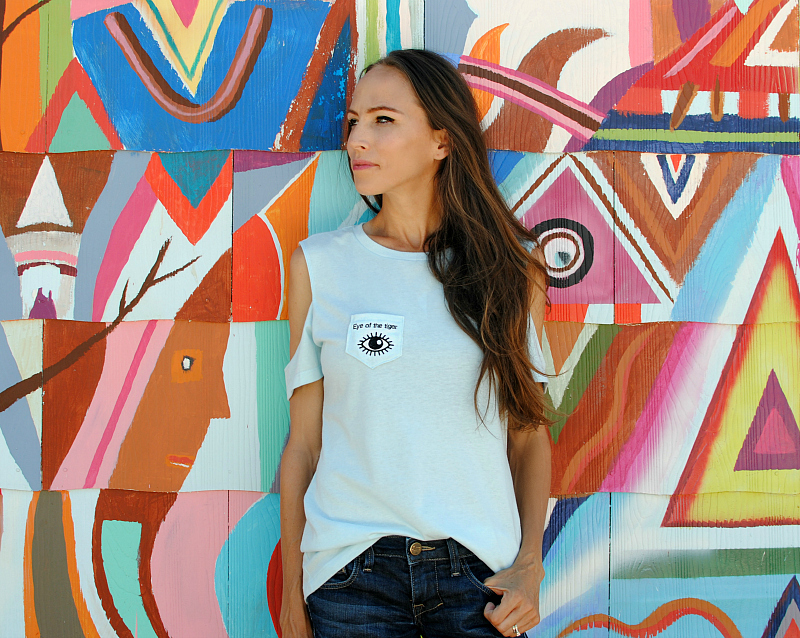 As a designer, you now have the ability to design your own t shirts products, community events, and charities. Most importantly, teedesign makes designing FUN and EASY. 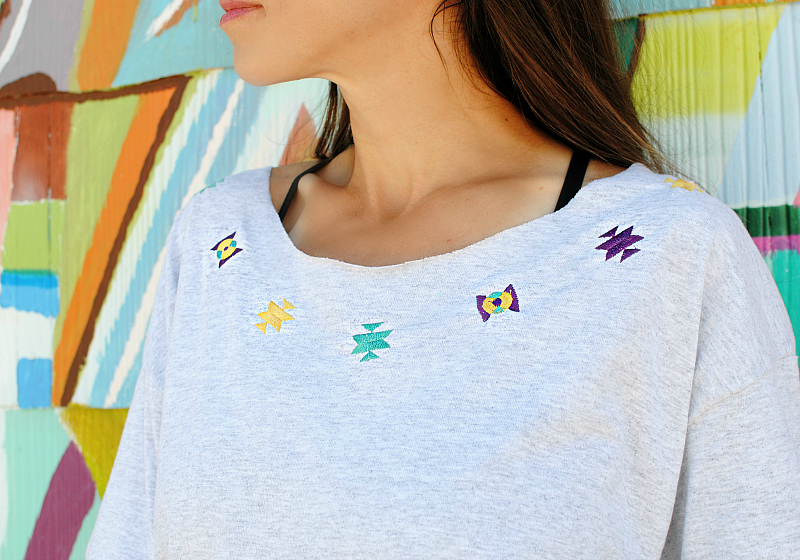 designs on her shirt is looking fabulous i have many Machines embroidery designs. Seems like you are creative and have knowledge in embroidery work. Looking for the new ideas in the embroidery work then, visit Embroidered Polo Shirts having the great design of t-shirts.